The end of oil and gas production from two platforms in a historic field the North Sea has been announced by Shell. The company said activity from Brent Alpha and Brent Bravo, east off Shetland, would formally cease on Saturday. They have not produced since May when they were shut down for inspection and maintenance work, and are no longer viewed as economical. The Brent field was discovered in 1971 and began producing in 1976. Only one of the four Brent platforms - Charlie - remains in production. A Shell spokesperson, said: "As we reach this significant step, we recognise the major contribution of Alpha and Bravo and the efforts of the many people associated with the platforms over the last forty years in the UK Continental Shelf. "From a technically innovative installation phase through to a long period of operation and production, these iconic platforms have helped to sustain vital North Sea oil and gas supplies. "We will now focus on safely decommissioning these assets." 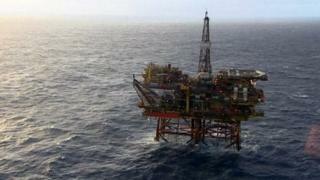 Brent Alpha and Brent Bravo are 115 miles (186km) east of Lerwick.